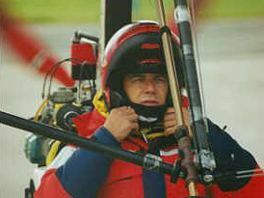 Mike Blyth started flying microlight aircraft in 1984. In 1985 he obtained his instructors rating and has been professionally involved in the microlight industry ever since. Elected to the Microlight Association of SA (South Africa) for the first time as the National Events Officer. 1987: Awarded Springbok (South African) colours for the first time – unfortunately, at the last moment the SA team was not permitted to attend the World Microlight Championships because of the international sports boycott at the time. 1988: Bettered the microlight world altitude record by 5,000 ft - by climbing to 25,013 ft ASL. 1989: Received the James Guilliland award for the most meritorious aviation flight of the year. This award is presented yearly and is open to all flying disciplines. 1989: Received an FAI Gold Colibri Award for flying achievements. 1990: Awarded Springbok colours for the second time and elected as team captain - at the Microlight Worlds was placed 6th. SA. Elected Chairman of the Microlight Association of SA. 1991: Awarded the SAAF Museum Trophy for the greatest contribution to microlighting for that year. Awarded the Aeroclub Gold Wings for administrative contributions to sport aviation for more than 5 years. 1992: Awarded Springbok colours for the third time and again elected as the team captain. Mike achieved his dream and won the World Microlight Championships. 1994: Awarded Springbok colours for the fourth time and at the World Microlight Championships was again crowned World Champion, but a year later, after an appeal, the FAI declared that the International Jury had made a calculation error and Mike was awarded the Silver medal with the Gold going to a Czech pilot. Awarded the James Guilliland Trophy for the second time. 1995: Mike, joined by Olivier in a separate machine, flew a self designed and manufactured Aerotrike Spirit 912 microlight from Cape Town to North Cape in Norway. This flight was the longest unsupported flight ever undertaken in a trike type microlight - 21,000 km (13,000 miles) over a 5 month period. 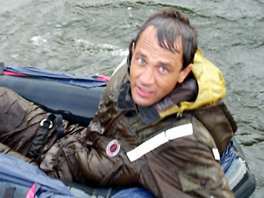 1996: Awarded the James Guilliland Trophy, Aeroclub Gold Wings, the FAI Diamond Colibri award, the United States Ultralight Flight of the Year Award and the French National Geographic Foreign Adventure award for his, and Olivier Aubert's 1995 Microlight Expedition. Was the 6th World Microlight Championship competition director - organizing the entire event, which was held at Cato Ridge, South Africa. 1997: Organized and flew in the 5,000 km 1997 Aerotrike African Adventure expedition. In 1999, Mike and Olivier again set the world record by flying 2 trikes from Buenos Aires, Argentina, up through the Americas, Canada, the North Atlantic and down through Europe and Africa, ending in Cape Town, South Africa. It was an 8 month journey of 44,000 kms (27,000 miles). 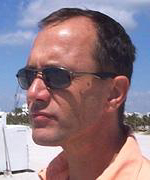 Mike has over 5,000 hrs flying time on microlight aircraft and holds 20 ratings including a seaplane rating. He has won many regional and club championships and the SA Nationals 5 times. Mike is still South Africa's only aviation world champion. Mike is a successful businessman, and is now spending his time making flying adventure films with Olivier as well as managing his various business interests. Mike is married to Charmaine and has three children - Stuart, Gregory and Alexandra. He lives in Johannesburg, South Africa.